March is the month that celebrates International Women’s Day, and – given that Italian Special Occasions DMC is itself the result of female entrepreneurship – we feel this is the perfect time to highlight some great women in modern Italy. According to a fresh research by Doxa (March 2016), there are more than 1,3 million female enterprises in Italy, and they grow decidedly more than the national average. The ultimate objective in most cases is not about profit, but about personal fulfillment. 46% of female business owners are less than 40 years old (13% are under 30), and 58% are also mothers. Inspiring Italian women that distinguished themselves in the past include painter Artemisia Gentileschi (1593-1653), who was the first woman to become a member of the Accademia di Arte del Disegno in Florence; physician and educator Maria Montessori (1870-1952), who developed an educational method applied in schools all over the world; astrophysicist Margherita Hack (1922-2013), who brought the Trieste Astronomical Observatory to international fame; and Oriana Fallaci (1929-2006) – the first Italian female journalist to become a war correspondent. But what about our present day? We have chosen female representatives for two different areas, although an entire book could be written on stories of famous and less famous Italian women in all sectors – from sports to fashion, from social activism to technology. In 1998, Donatella Cinelli Colombini decided to found her an estate including a winery. She needed a wine cellar manager to monitor the ripening of the Brunello di Montalcino in the barrels, and so she called the Oenology School of Siena to know whether she could hire a good student. She was told that she needed to call at least one year ahead because “everybody” was booked… unless she wanted female wine technicians, since nobody would hire them. The result? In an industry traditionally dominated by men, Donatella’s “Il Casato Prime Donne” winery today employs only women. 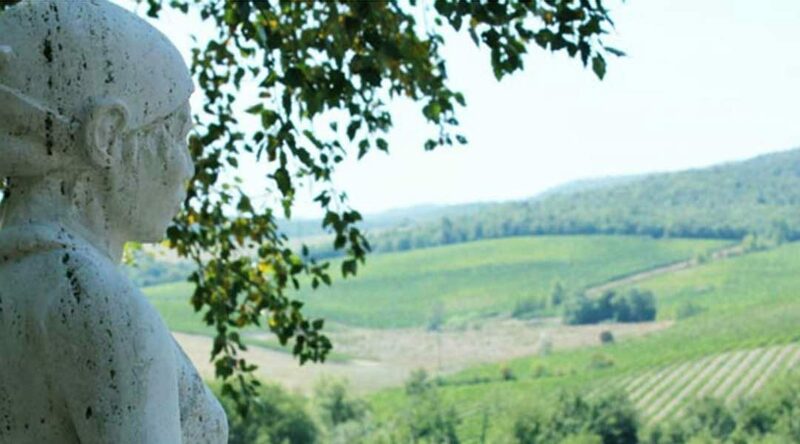 The property expands over 40 hectares, of which 16 are taken up by Sangiovese vineyards and the winery for the production and ageing of the Rosso and Brunello di Montalcino wines (quality DOC and DOCG labels). Colombini has taken the all-female concept a step further, producing the Prime Donne wine selection, which is chosen each year by a tasting panel of four women. She also organizes the Premio Casato Prime Donne, an international journalism and photography competition that annually awards the female figure who is either an example or a help to the female world. Finally, visiting Donatella’s winery is a unique sensorial experience in itself. Not only do you get to hear fascinating legends – such as the miracle that saved Montalcino during the 16th century assaults, or anecdotes about the historic Cinelli Colombini family and the birth of the Brunello – but you also get to taste and smell wines, and to see an amazing artistic itinerary. In fact, barrels and vineyards alternate with ancient frescoes and contemporary art works. Not enough? Then add the sense of Sound too, by tasting wines while listening to matching pieces of music chosen by musician and sommelier Igor Vazzaz. Between November 2014 and June 2015, many Italians were fascinated by the updates of @AstroSamantha, the Twitter account of Samantha Cristoforetti, as she tweeted photos and experiences from the International Space Station (ISS). She is an Italian astronaut, and Italian Air Force pilot and engineer. As of March 2016, she holds the records for longest single space flight by a woman (199 days 16 hours), for the longest uninterrupted spaceflight of a European astronaut, and she is also the first Italian woman in space. Another rather curious record? Samantha is also known as the first person who brewed an espresso coffee in space! Apart from performing numerous scientific experiments and operating machinery, during her ISS mission Samantha also began outreach programs such as “Mission X: Train Like an Astronaut”, where children were challenged to get fit during a nine-week program, while Cristoforetti trained in space. 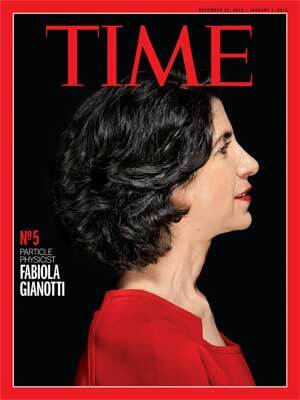 Another woman that is admired for her work in the science and physics world is Fabiola Gianotti, an Italian particle physicist. On 1st January 2016 she became the first female Director-General of the prestigious multi-national laboratory CERN. Gianotti joined the world-renowned physics research organization in 1987 and eventually moved up to command over 3,000 scientists working on the ATLAS program. She led the team that found evidence of the Higgs boson, a basic particle that helps explain why things have mass. Forbes included her in its 2015 list of “The World’s 100 Most Powerful Women”, and she ranked 5th in Time magazine’s “Personality of the Year” (2012), and was considered among the “Leading Global Thinkers” by Foreign Policy magazine (2013). Italy is full of gems like Il Casato Prime Donne, most of which are hidden and can be discovered with some local, insider’s knowledge. Are you a group of mothers or of friends who would like to explore the values, know-how and challenges of female entrepreneurship? Are you looking for an inspirational business that allows you to balance family and personal fulfillment? Would you like to venture in the “male world” of science, physics and technology like AstroSamantha and Fabiola did? 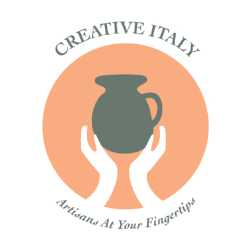 Let Italian Special Occasions DMC help you design and experience a unique visit to Italy: enjoy your family/friend vacation with a unique insight that will broaden your horizons and strengthen your tenacity!